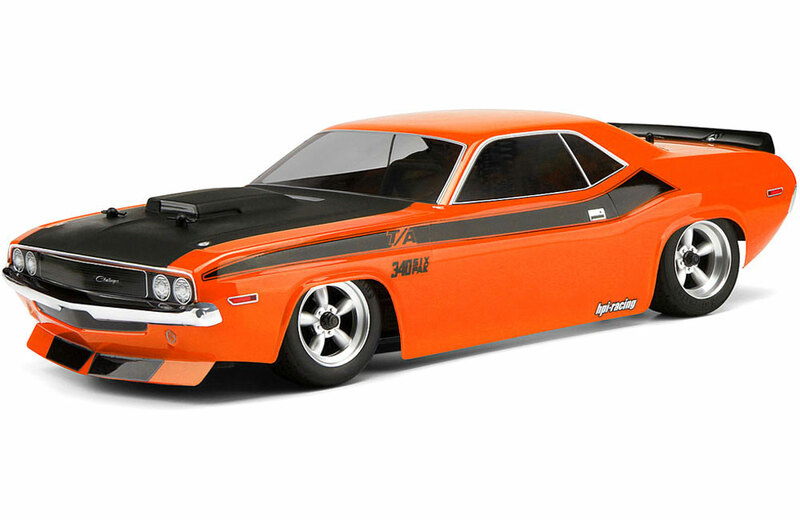 The era of American muscle cars rumbles to life once again with the addition of the 1970 Dodge Challenger body to our line-up! 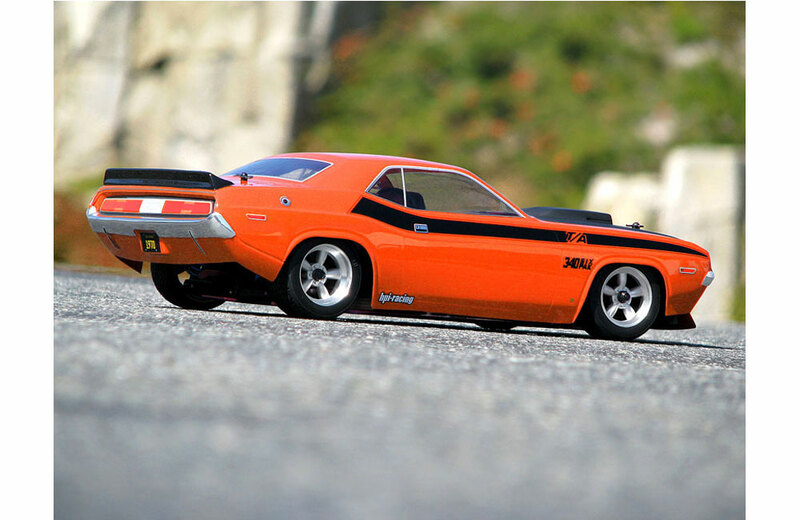 The '70 Challenger was a potent competitor on the racetrack with Sam Posey behind the wheel of his bright green Challenger in the legendary Trans Am series. 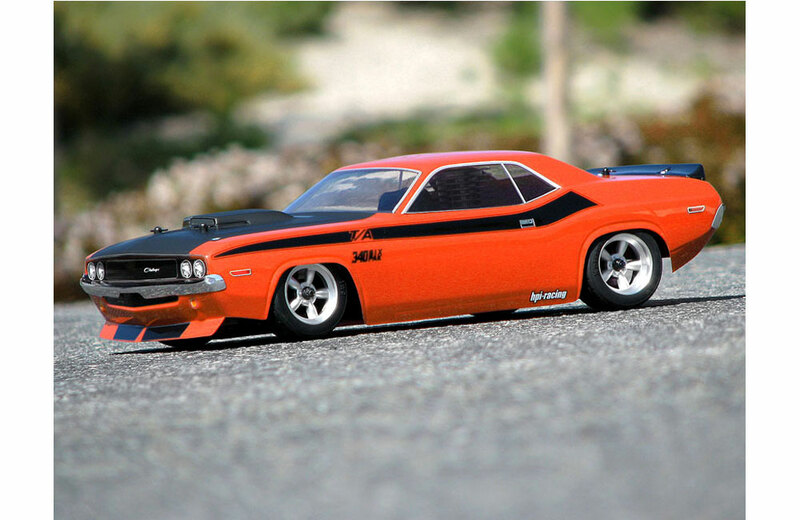 Get yourself the RC version of the 1970 Dodge Challenger, designed to fit all 1/10 scale touring cars. 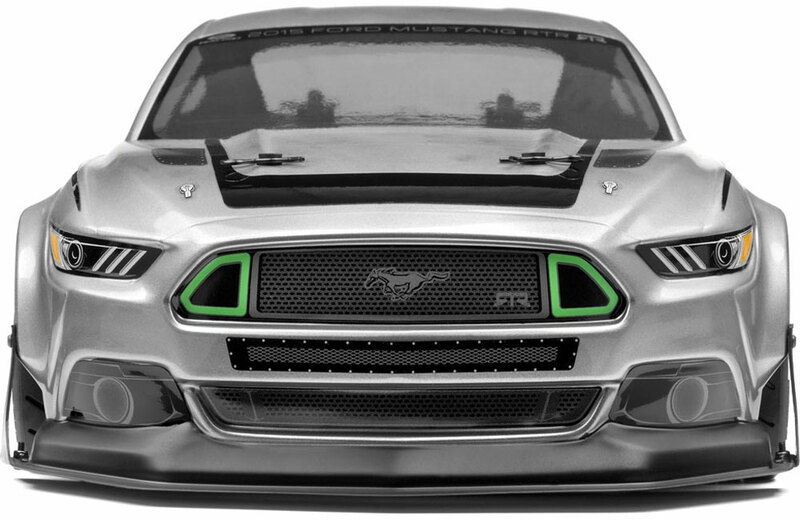 Included with the body is a pre-cut decal sheet that includes window lines, headlights, grills, tail lights, official logos and much more, providing you with a realistically finished product. 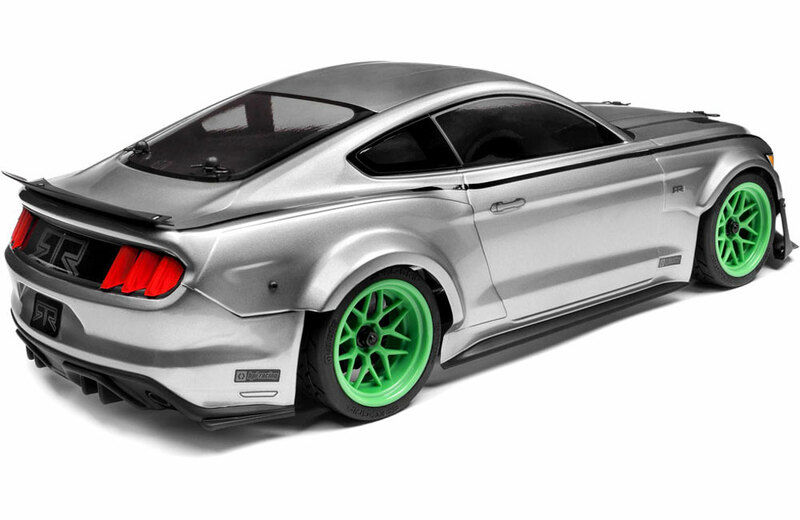 This body is clear so you can paint it in your favorite colors. 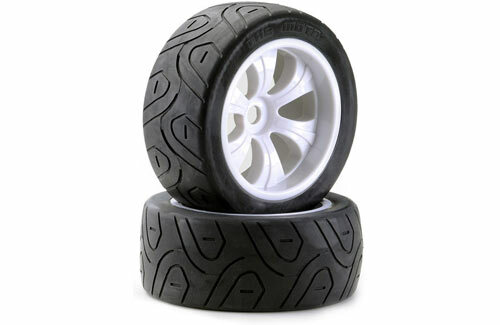 It fits 200mm touring cars and can also be used on 190mm touring cars with the use of wide offset wheels. 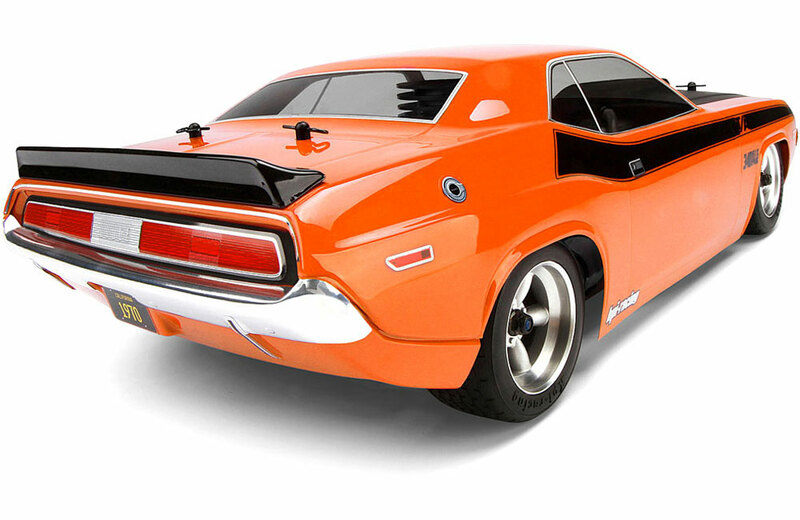 Overspray film is included, as well as vinyl window masks to make painting quick and simple. An instruction sheet is included for the decals, and the body has dimple marks for body post drill locations. 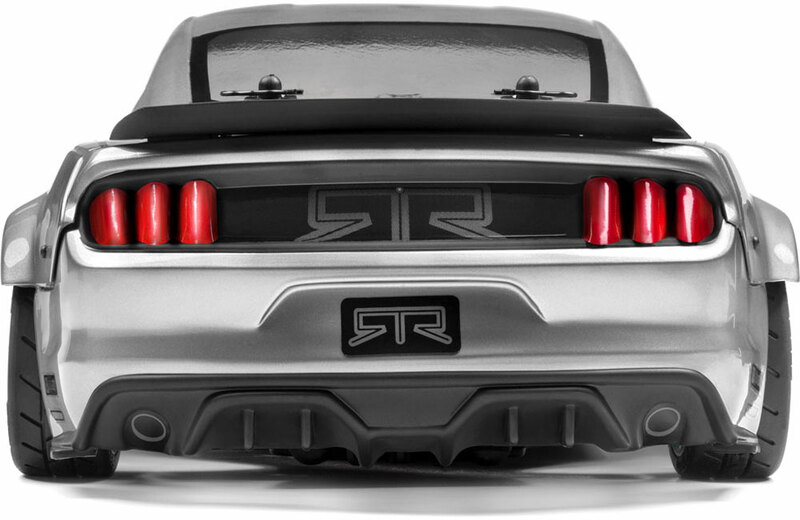 • Photorealistic die-cut premium vinyl decals include window frames, headlights, tail lights and more, plus official logos! • This is an officially licensed replica. Refresh the look of your 2015 Ford Mustang RTR Spec-5 with this easy to install replacement body! 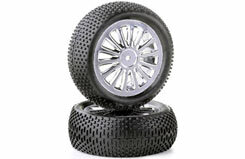 Fully painted, detailed and cut out, this OEM replacement body is formed from light, flexible and highly durable polycarbonate plastic, then painted with special flexible paints for an authentic look. 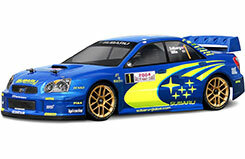 1/10 TOURING CAR SIZE (190MM) OFFICIALLY LICENSED BY SUBARU. HPI Racing is proud to announce the Subaru Impreza WRC 2004 Body for rally racing fans and Touring Car racers! 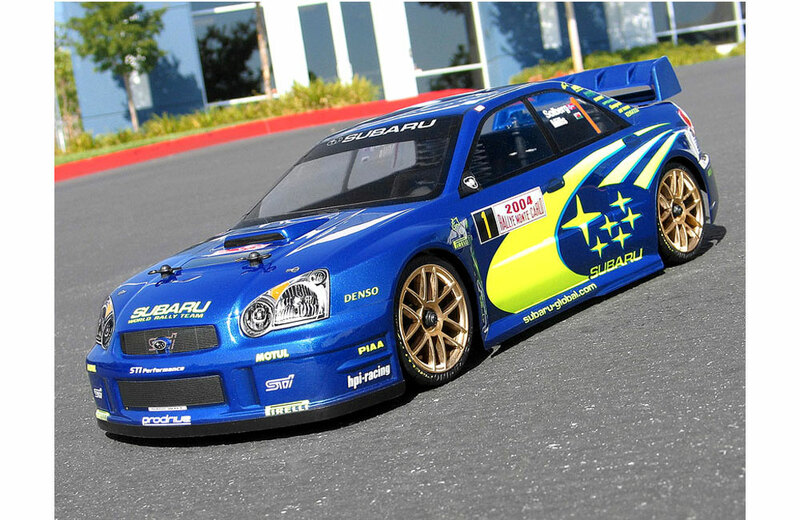 The body features updated aerodynamics and official Subaru team graphics from the famous Rally Monte Carlo for the ultimate in realistic looks and high downforce. 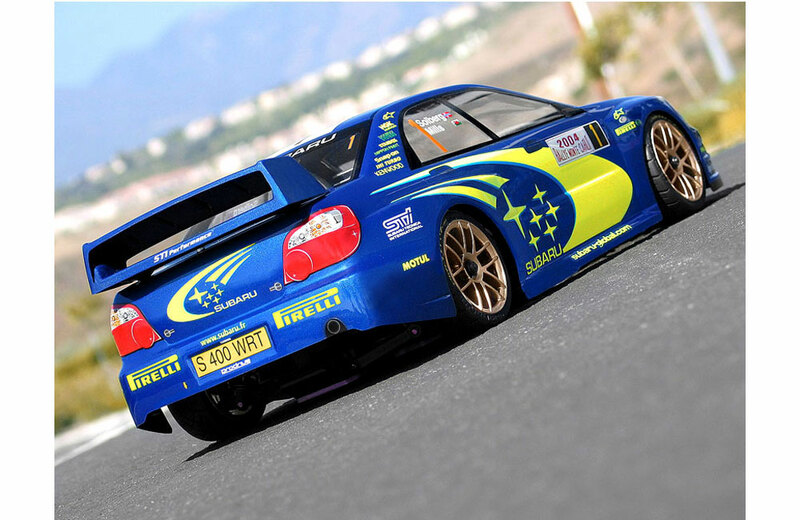 The Subaru Impreza WRC 2004 body ships with two large flexible vinyl decal sheets for detailing the clear polycarbonate shell. 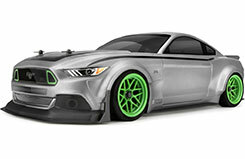 Window lines, headlights, grilles, tail lights, HPI logos and several other details are on the decal sheet. A complete set of official Subaru WRC racing decals is included for scale realism! A convenient overspray film is included, as well as vinyl window masks to make painting quick and easy. 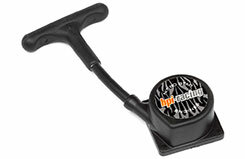 To make mounting the body simple, an instruction sheet is included and the body has dimple marks for drill locations. 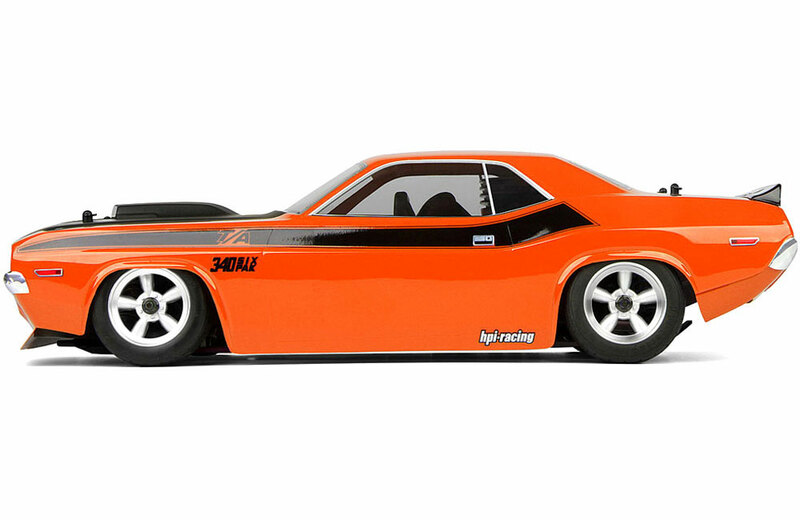 The racing wing is modeled on the actual wing from the race car for high-performance good looks! 1/10 TOURING CAR SIZE 200MM/USE OFFSET WHEELS FOR 190MM WIDTH CHASSIS. Now available from HPI Racing is a new body for touring car racers: the Porsche 911 Turbo (997) Body! 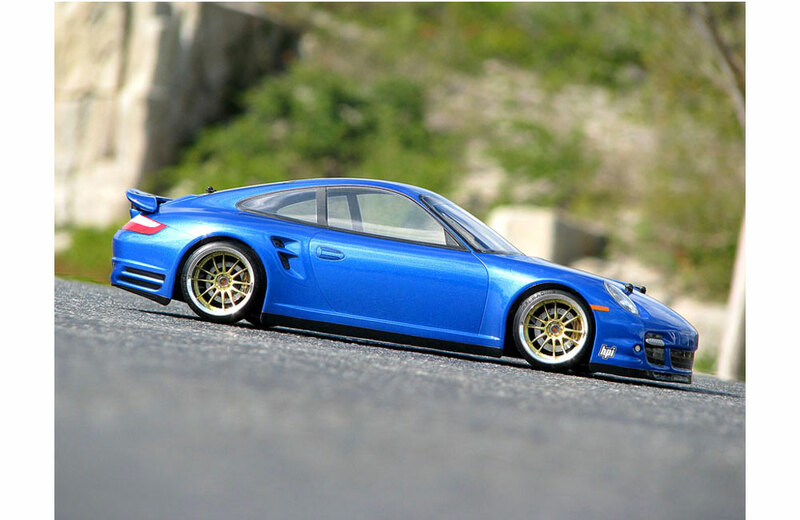 This 200mm wide body will fit wide 1/10 scale sedan cars and features the usual HPI attention to detail. 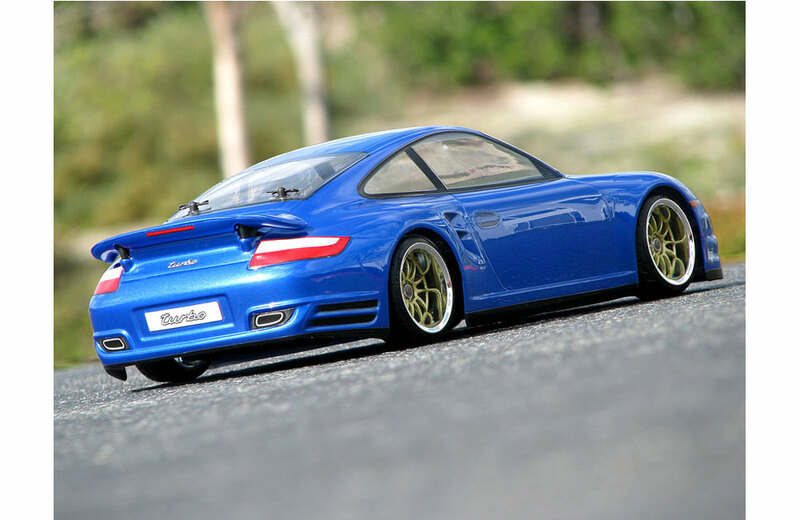 The Porsche 911 Turbo is the iconic supercar by which all other high performance cars are measured. 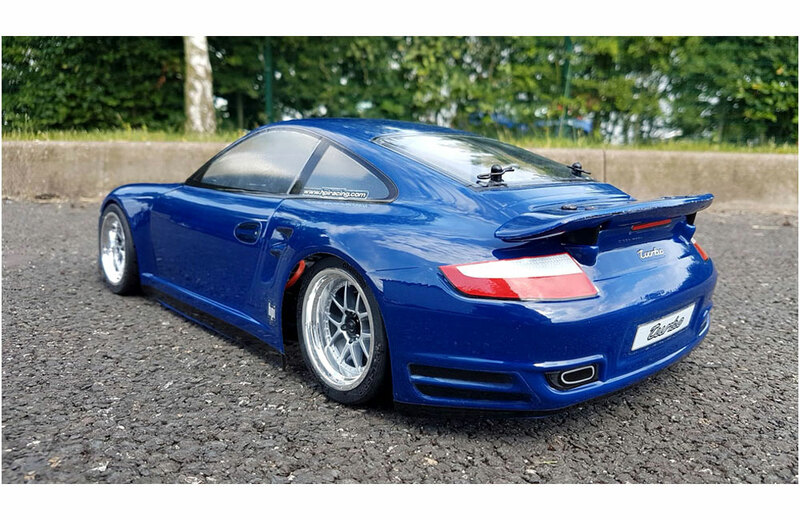 The realistic styling includes all of the unique bodywork found on the latest "997" turbo cars. We've also included front light buckets for added realism. A polycarbonate street wing and a black nylon racing wing are both included for your choice of street styling or high grip racetrack performance. 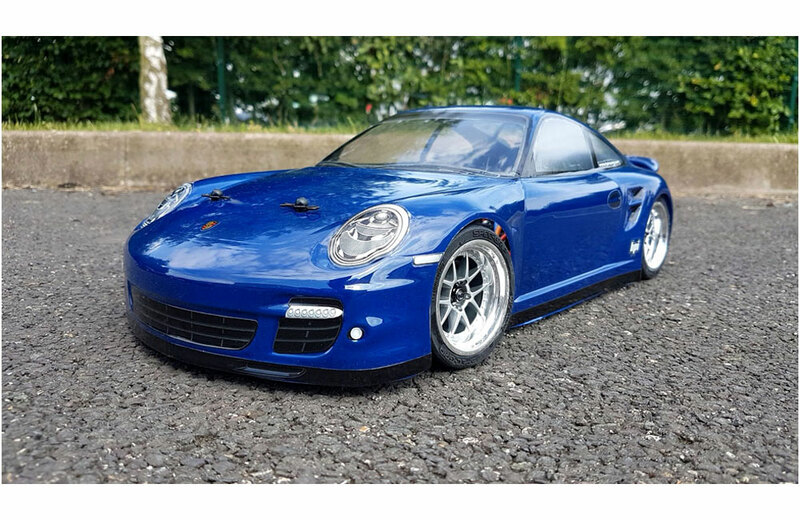 Like all HPI bodies, the Porsche 911 Turbo comes with a clear protective overspray film, window masks and a large decal sheet. 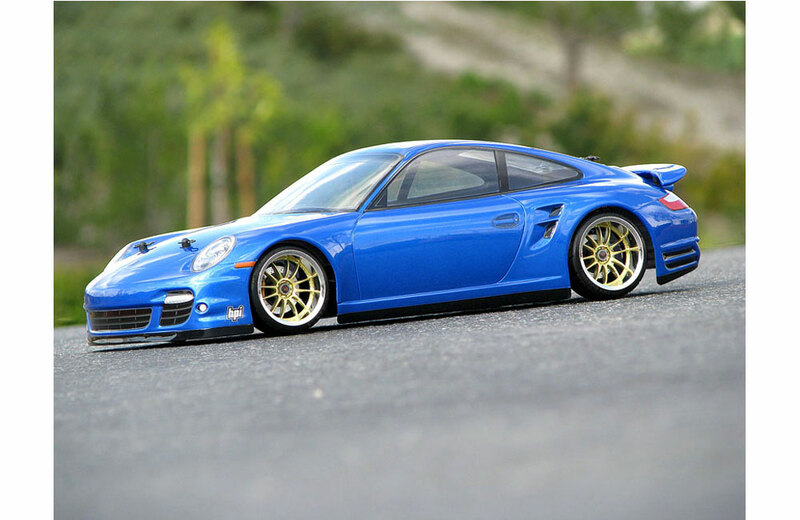 Made of flexible vinyl to fit every curve on the body, the decal sheet includes official Porsche decals, headlights, tail lights, and door handles, plus official Porsche and HPI Racing logos! 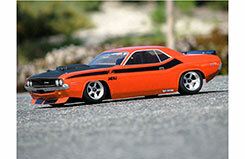 The body also has drill locations marked for HPI sedan cars, making it easy to line up the body mount and antenna holes. 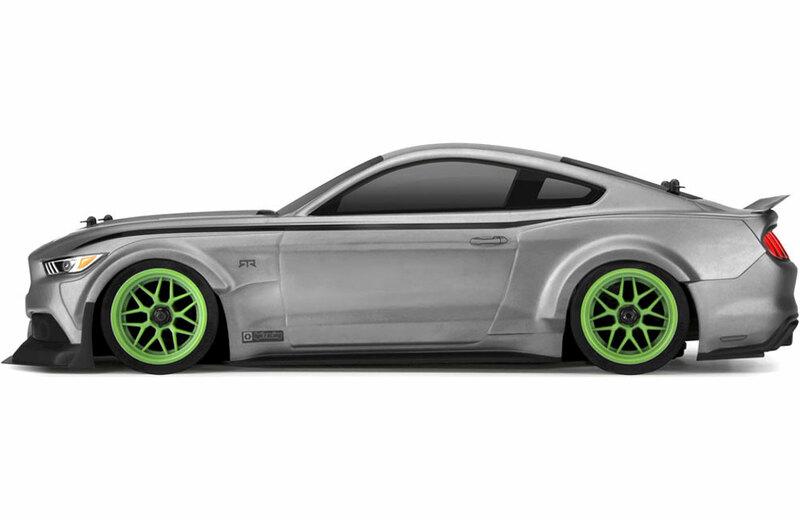 • Premium vinyl decals include window frames, headlights, grille, tail lights, official logos and more - For a perfect finish with a lot of details. • High quality polycarbonate with excellent dimensional stability and impact resistance - For extra strength and longer life. • Fits most touring cars - use wide offset wheels when mounting a 200mm body on a 190mm chassis. The wheels shown are our Worx replica wheels in gold with a chrome lip, #3298 6mm offset and #3299 9mm offset. 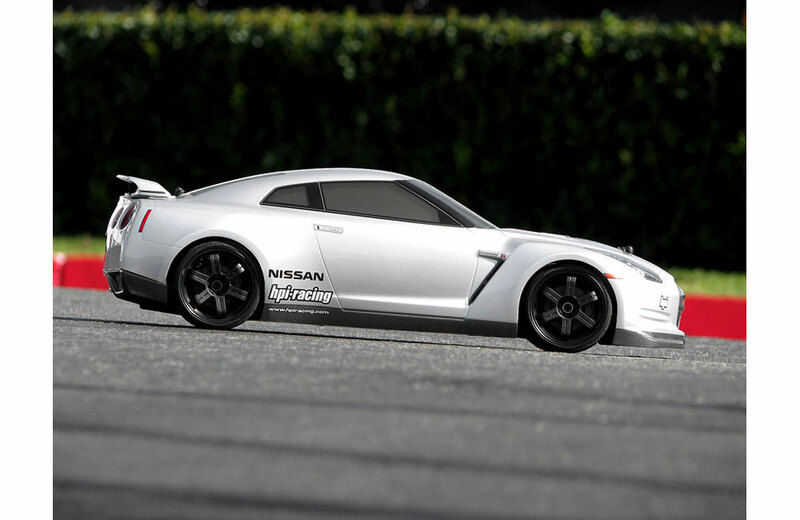 Grab the latest version of the legendary Skyline series of sports cars, code-named the R35 for your 1/10th scale touring car! The full-size GT-R features a twin-turbocharged 3.8 litre V6, four-wheel drive, rear-mounted transmission, a top speed over 310kph (193mph) and 0-60mph time under 3.8 seconds. As proof of its supercar status, Nissan engineers and drivers in May 2008 set a lap time of 7 minutes 29 seconds on the famed N�rburgring - just one second slower than a 400,000 Euro Porsche Carrera GT. 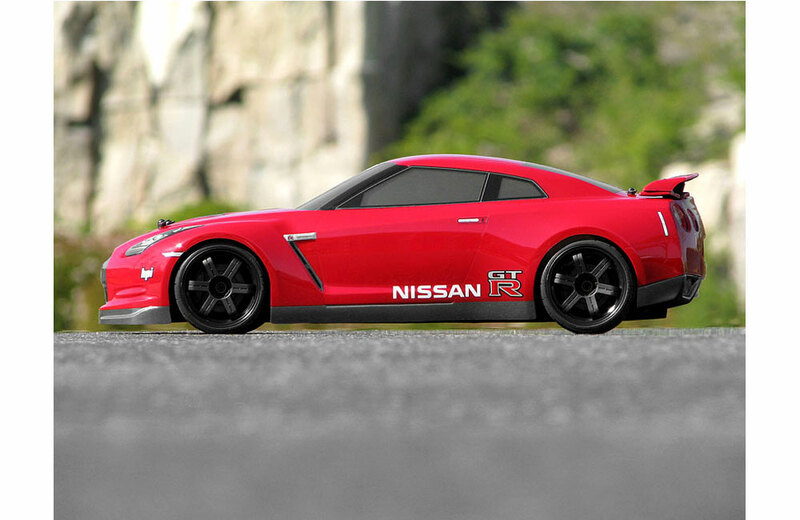 The realistic styling includes all of the unique bodywork found on the latest GT-R spec supercar. We've also included front light buckets for added realism. A realistic street wing is included for cool street styling. 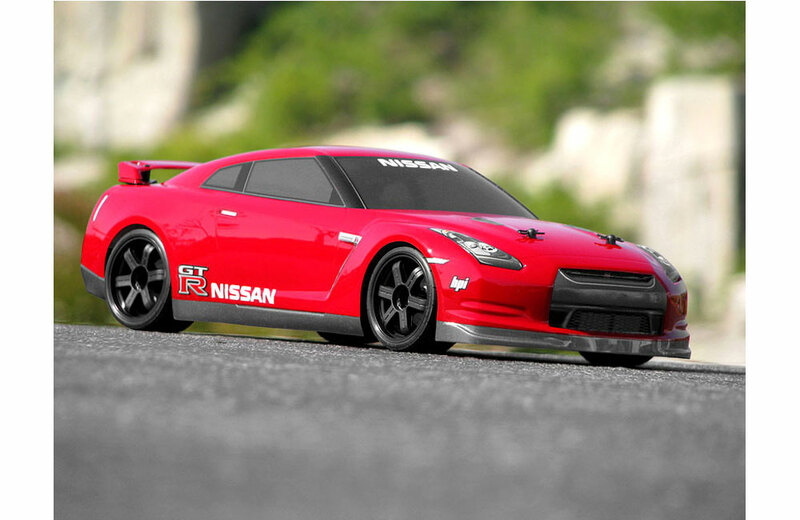 Like all HPI bodies, the Nissan GT-R comes with a clear protective overspray film, window masks and a large decal sheet. 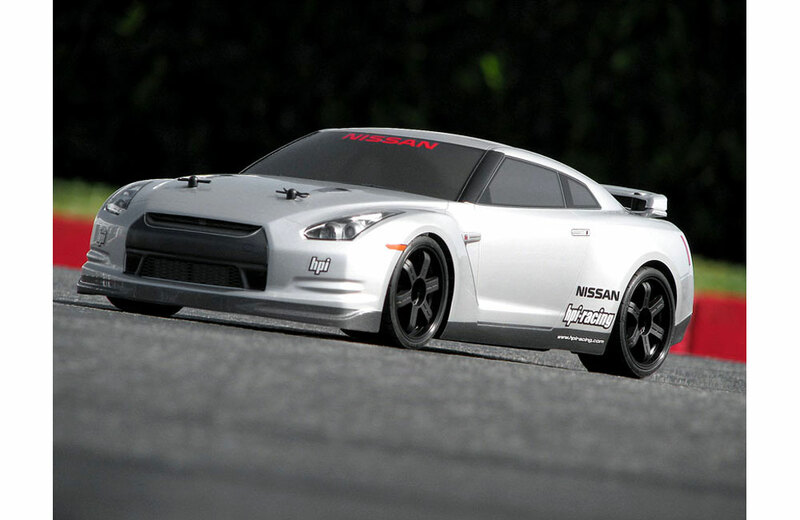 Made of flexible vinyl to fit every curve on the body, the decal sheet includes official Porsche decals, headlights, tail lights, and door handles, plus official Nissan GT-R and HPI Racing logos! The body also has drill locations marked for HPI touring cars, making it easy to line up the body mount and antenna holes. The wheels and tyres shown are our LP-series replica wheels in black, which are available in widths ranging from 29mm to 35mm wide.